Android Market has been replaced by “Google Play” and it’s Official. 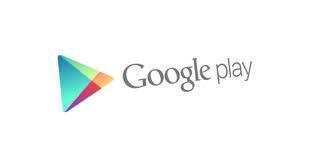 Google Play is an Online Store for Music, Movies, Books and Android Apps and Games. Free apps are available World Wide where as Paid Apps are available in some Country. In Android Market there were over 450,000 Apps Available . Google Play comes with new feature of Cloud Store where you can do anything anywhere. Buy a Book on your Android Phone and read it on Google Play. Buy a New Album from Android and Listen it on your Desktop at Home. In Google Play you can Buy anything which is available and can enjoy it anywhere, that’s the Beauty of Cloud .Enjoy your Paid Content anywhere you want and Google Play is free to Use. All Content Purchased from Google Music, Google eBooks and Android Market will be available Under one roof which is Google Play. Discover Shop Enjoy and Share them on Google+ Since Google Play is connected with Google+ making it easy to Share. Tell your friends what your are Listening and let them Listen to your Songs for free. Download Google Play App for Android and Install it on your Android Device. While Installing you will see one Message Asking you to replace Android Market Click OK. Now Accept Terms and Conditions, you have successfully Installed Google Play on your Phone. Enjoy Google Play and Please Share with your friends .